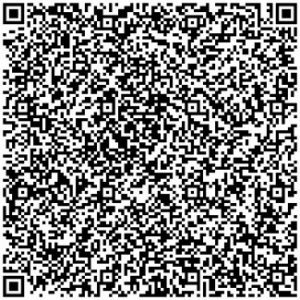 Want to see what is going on at your property while you’re not there? If you need your property watched physically by security personnel for any reason, consider using our security patrol service for random mobile patrols. If you need a dedicated patrol, or a standing security guard to watch over your property for surveillance purposes, please contact us. Our patrols can check on your property at any time, for any reason. You can call on us to be your trusted eyes and ears whenever you need us. All Cape Patrol’s security patrol units can report back to you via phone call, MMS text message or email. 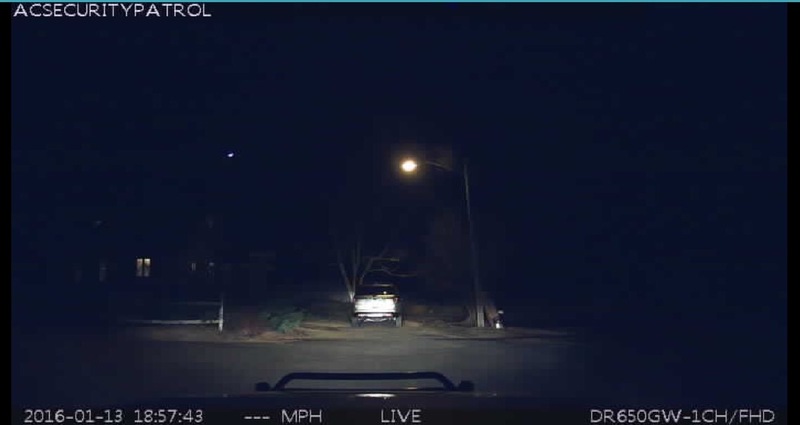 Text and email reports can contain real time images from the property allowing you to see exactly what is going on there during a patrol visit. If you own a vacation rental property, you can have us check on the current tenants’ activity at the property. Our security patrols can check for overcrowding, parking and noise issues before they become bigger problems for you. If you are going away on vacation for a week or two and your teenage children are staying at home, our patrol units can periodically check on activity at the home and report back to you. Our patrols will look out for and report on any suspicious activity at the property and can prevent the problems and liability associated with activity like house parties and underage drinking. 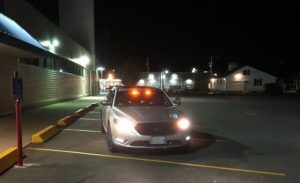 All Cape Patrol can perform low profile drive-by patrols, or we can do knock and talk patrols to check on the well-being of anyone on the property at any time while you are away. In addition to physical security, there are many different high visibility and covert electronic property surveillance solutions available for residential and commercial security patrol, vacation watch and home watch clients. Video and still cameras are available to monitor your home or business while you are away. Keep track of everyone that comes and goes from your property with permanent photo or video records. This information can be extremely valuable if there is an incident at your property. These small units can be placed covertly in strategic locations on your property to record every visitor to your property, day or night. 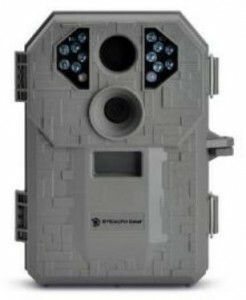 Commonly used by hunters, trail cameras or game cameras are very affordable and are great to use for remote property surveillance where internet access or electric power is not easily available. Trail cameras can be used to monitor entrances and driveways of unoccupied homes and will often work for months in low traffic areas on one set of batteries. This makes trail cameras a perfect alternative to complete security camera system setups for monitoring comings and goings at an unoccupied property. While the basic units will not notify you in real time of any activity at the property, they can provide photo/video evidence of trespassers, vandals and other visitors after the fact, which may be helpful to an investigation should criminal activity be discovered at the property. Single or multiple camera systems can record video of events that occur on your property day or night. Video can be saved to DVR or computer hard drive. These surveillance camera systems can be set to motion activated recording and the DVRs can hold several weeks worth of video. An internet connection is not required for just recording activity. Great for small business owners or second homeowners who want to keep an eye on things from another location. See what your employees are really doing when you are not there. Watch your backyard, home, basement, or garage while on vacation. Single or multiple cameras are controlled remotely using simple, safe and password protected software. Pan, tilt and zoom functions are available on some models. Internet connection is required for real time offsite viewing. Systems can be set up to alert you, or our mobile security patrol units of any activity at the site. 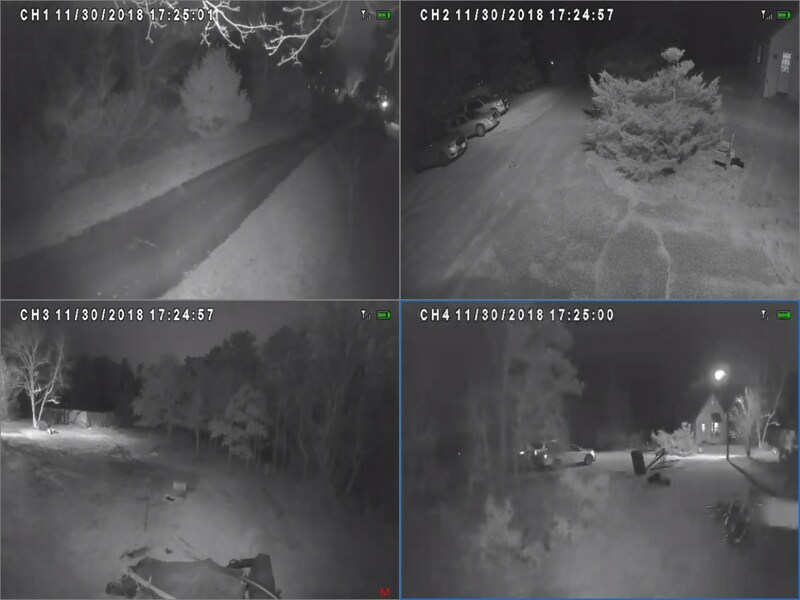 Motion detection software will take a series of still photos and trigger an email (or text message to a cell phone) you can then log in via the internet and see what is going on at the site or have our security patrol service respond to assess the situation. There are many good inexpensive indoor/outdoor IP cams available for less than $100. 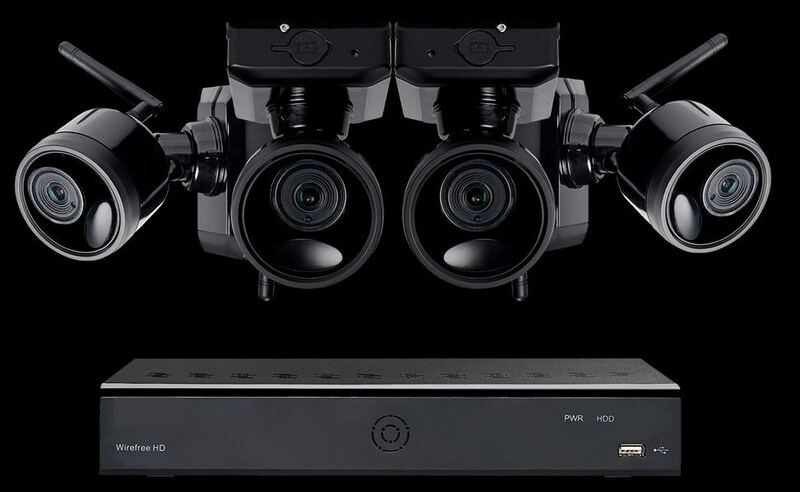 Here’s a system that includes wire-free 4 IR night vision security cameras and a DVR that holds weeks worth of video. There are all kinds of different systems, but this one will give you an example of what’s available for about five hundred bucks. Wire-free cameras can be mounted anywhere since they require zero wiring and no power source access. Because of this, wire-free Surveillance Camera Systems are perfect for video monitoring of any property. Only the base unit DVR requires a power source. 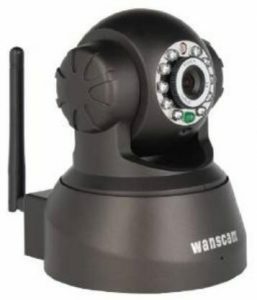 The cameras can be mounted up to 400 feet from the base unit and no internet connection is required for just recording events. Internet connection is required for remote monitoring and real-time motion detection alerts. There are literally unlimited options and setups available for property surveillance, wired and wireless, with both remote notification/viewing and site based recording. Coupled with our home watch or security patrol services, this can make your property a very unattractive target to criminals and vandals. In the event of an incident at your property you will have invaluable evidence to contribute to an investigation. If you are experiencing issues at your property, our security patrol units can temporarily install and monitor electronic surveillance equipment to find out what is going on and deter further incidents. 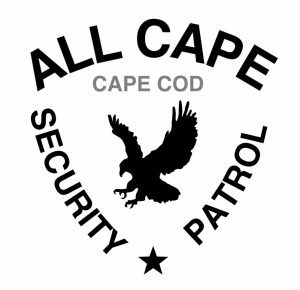 Whether you need physical security patrol services or remote video monitoring and response, All Cape Security Patrol is your local MA State Police Licensed Watch Guard Patrol Agency. There are many different options for Property Surveillance and Remote Video Monitoring Systems, please call us to discuss your specific needs. If you already have a security camera system installed at your property and it has a motion alarm feature that can send notifications via email or text message of any unusual activity at your property, consider having our private security patrol service monitor these alerts for you and if necessary, respond to the property and assess the situation on your behalf. Off season security patrol and home watch contracts for unoccupied residences can also include the temporary installation of IP cameras (if internet is available) to keep an electronic eye on your property during the off-season. Our private patrol service can quickly install a simple indoor or outdoor IP camera, monitor the system for any motion alarm notifications and physically respond to the property to assess these motion alarm alerts if necessary 24 hours a day, 7 days a week! If you need help with setting up property surveillance equipment or need remote video monitoring and response for your Cape Cod property and want to know the best devices to use depending on your situation, call us at (774) 383-2030 or email us today.